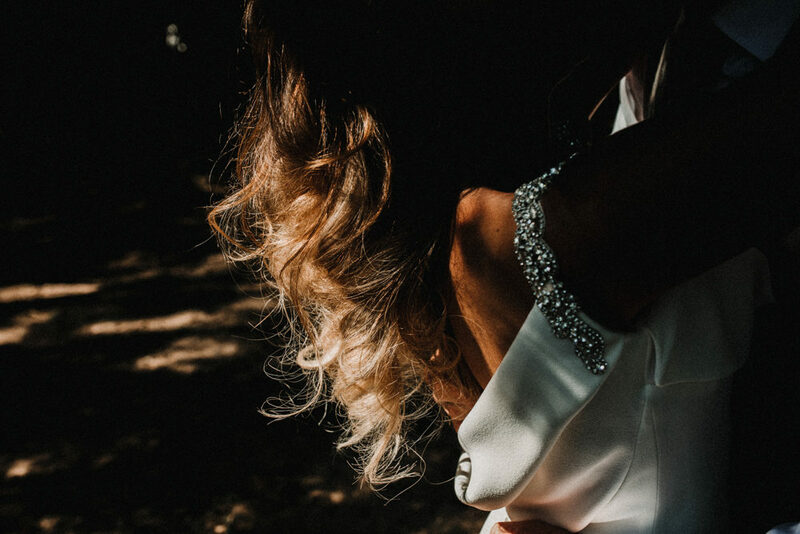 With Old Hollywood vibes and dreamy images from Carla Blain Photography, I feel like this wedding is going to sweep you off your feet. The industrial former mill venue, Riverdale Barn, is all exposed brick and flag stone floors, which contrast beautifully with the glamour brought to proceedings by Bianca and her beautiful girls in charcoal grey multiway dresses. 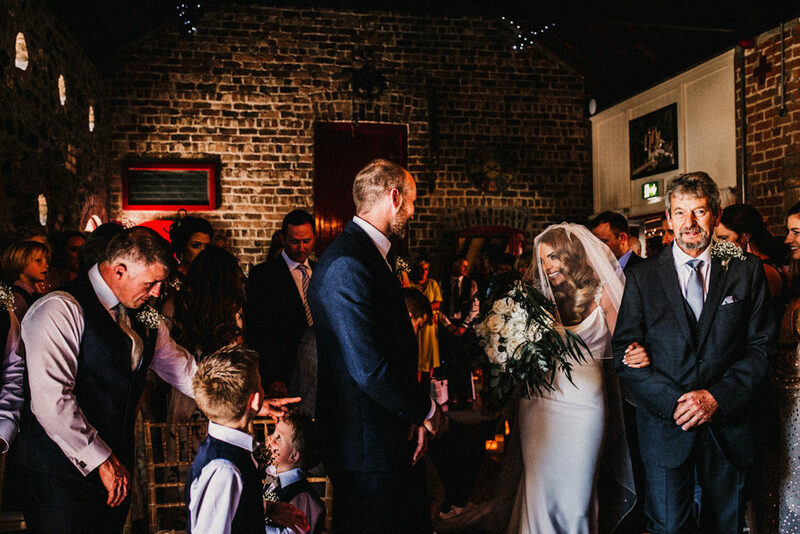 This is a stylish, laid back wedding full of joy – just how we like it. 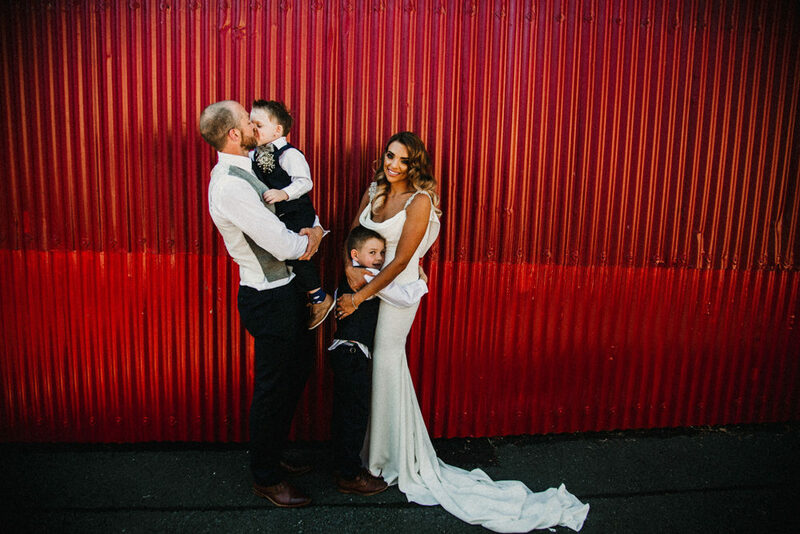 Bianca the Bride: Simon and I have two wonderful children, who keep us extremely busy! So when he surprised me with a trip to Santorini for my 30th birthday I was elated with joy. He asked me to marry him over dinner on our balcony and from the second I said yes I was in wedding planner mode. Searching for my dress caused me major stress, I knew what I wanted down to the tiniest of detail, but it every boutique I went to failed to provide. I became disheartened after finding a beautiful Tarik Ediz evening gown style dress that I decided was ‘the one’, only to discover it was discontinued and even the designer hadn’t any available in my size. 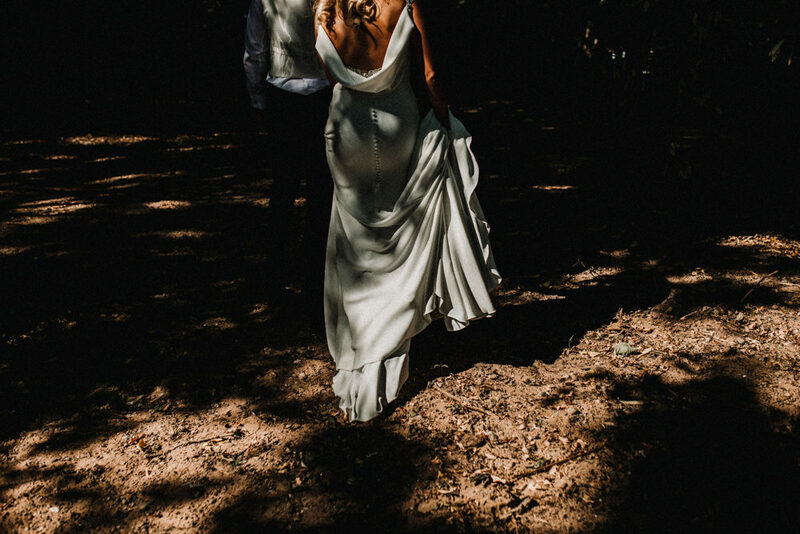 Back at square one I began lusting after a 2018 Pronovias dress (which happened to be my first Pinterest save). After much googling I discovered there was only one boutique in Northern Ireland that had it and I booked in to try it asap. The girls in La Boda Bridal couldn’t have been more lovely. I brought along my bridesmaid and best friend Joeleen to help me decide if the dress I dreamt of was the one (I knew she would be deadly honest). As soon as I came out from the dressing room she cried and I cried and I knew the Pronovias ‘rama’ dress was perfect. Perfect silhouette shape, simple with a flattering cowl neckline and a backless drop and a sprinkling of sparkles to set it off. I couldn’t wait to wear it! 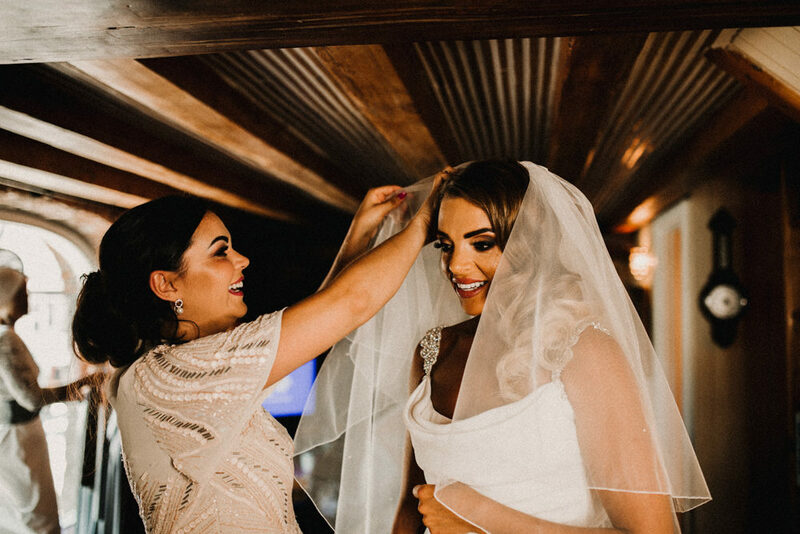 My makeup on the day was done by the wonderful Kathy Brennan MUA, who my bridesmaids subsequently nicknamed the make up goddess and was flawless the entire day despite the scorching heat. And my hair was done by Eimhear Monaghan from Atchison Hair Magherafelt, who is a fantastic friend and has the patience of a saint because I subjected her to way too many trials. Simon was a royal nightmare! I searched and searched for something he deemed suitable (#groomzilla) he wanted something different and current. I ordered so many suits from ASOS for him but getting him to make a decision was impossible, as he loves to leave things last minute. In the end he decided on a lovely three piece from RED groomswear in Cookstown. Who were very patient and understanding of sizing being last minute due to the best men living in different countries. They matched the children’s suits and even created matching bowties to match the groomsmens ties. Our boys looked incredibly cute. They provided everything down to the shoes and with only weeks to spare the men folk were sorted. The bridesmaids were kitted out in beautiful full length, slate grey, Two Birds multiway dresses which I sourced on ebay for half price. (So many brides sell their dresses after their weddings in perfect condition)! 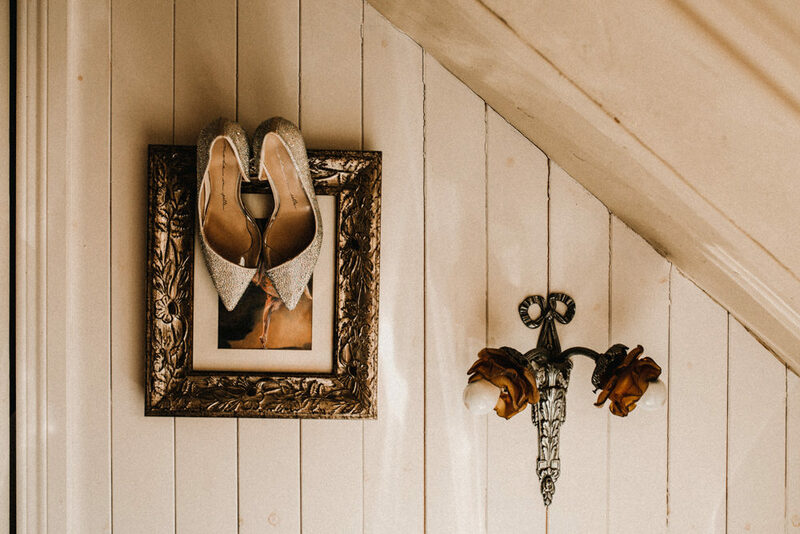 We fell in love with Riverdale Barn as soon as we walked in. The stunning scenery, the laid back barn feel. The reds and stonework were a photo opportunity waiting to happen. It was perfect for the laid back evening wedding we wanted. 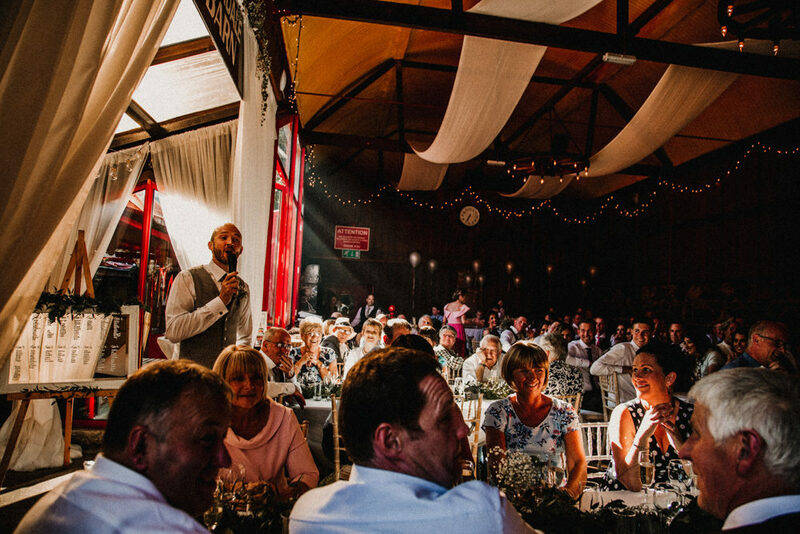 We chose to use Old Barn Catering to supply our wedding meal and opted for a relaxed hog roast and so fresco bbq style meal. They couldn’t have been more helpful, and made sure every second of the day ran smoothly. I didn’t have one second of concern and everyone commented on how wonderful the meal and especially the desserts were. We also hired Papa J ice cream hire to provide cones for our guests, which turned out to be a godsend as it was an absolute scorcher of a day. Myself and Simon are huge magic fans. It was a no brainer that we would have this as entertainment at our wedding. I hired Rod Hogg to entertain our guests and he had them enthralled. His mind tricks baffled and he left our guests in awe. For music I asked a local acoustic musician Justin Black to sing for us during our ceremony and then perform a live set before the meal. 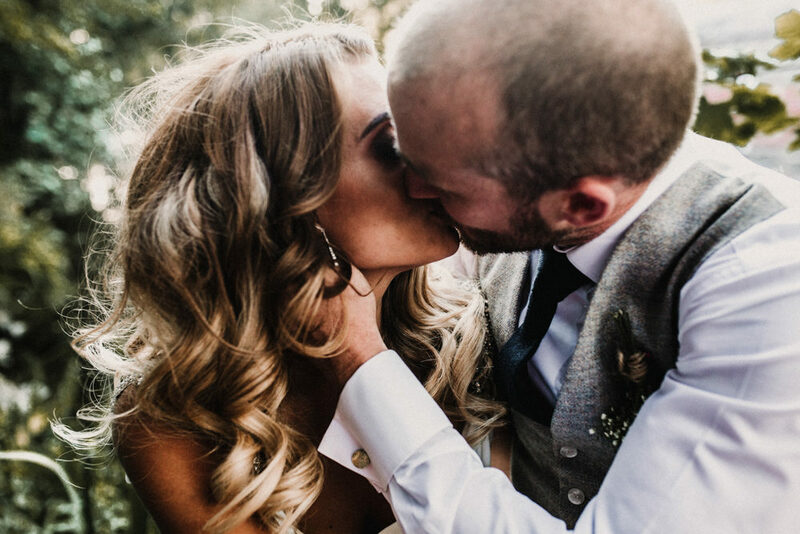 It kept in with our laid back theme and he sang some wonderful classics as well as learning Take That’s ‘Rule The World’ as a special request for my walk down the aisle. Our evening entertainment was provided by Aaron at DISCO NI and he did a great job of getting everyone up dancing till the wee hours. My florist Rebecca Gourley (Floralicious Designs) was an angel. She literally took on everything for our day. She organised my seating, she provided entertainment for the kids in attendance and decorated every inch of the venue in flowers and candles. Nothing was too much trouble and even when the heatwave threatened to kill all the flowers and melt the cake she took charge. I couldn’t recommend her epic talents enough. My beautiful four tier semi naked cake was provided by Lee at Relax Cakes in Newtownards. It was stunningly accurate to what I had envisioned and tasted AMAZING. This was the fun part, I had every idea under the sun for favours and little delights but without the permitting budget I had to pace myself and decide on only a few. I had wine bottle labels made with our wedding dates and names and spent a gruelling afternoon with my mum soaking wine bottles and removing the original labels. (The bonding time was fun)! We also had special sweet bags made as favours and filled jars with every childhood favourite and my bridesmaids mum Beverly made beautiful and delicious heart shaped shortbread to complete our sweet cart delight. My final favour was mini bags of dried rose petals that we filled ourselves and had personalised stickers on for each of our guests. It’s the small things that people remember and I had so much fun creating them. This for me was THE most important decision and a trailed the internet for inspiration. My wedding pictures will be my lasting memory of our special day frozen in time and I needed them to be perfect. I hate the idea of staged pictures that take hours to do and everyone having to miss the party to stand about posing uncomfortably. It was important for me to find a photographer who would go with the flow and capture the special moments with ease and class. A colleague of mine put me in the direction of Carla Blain Photography and from the moment I saw her work I was hooked. The soft angles, the effortless style. Having a reportage style was important. So without hesitation she was booked and she dutifully flew herself over to help complete my day. She was funny and blended in beautifully, and I’ll treasure her art (and ability to make me look awesome) forever. The colours are outstanding! Beautiful venue! Love the stark contrast and colour in the photos. Very nicely done!